In this programme, participants learn the difference between an Inward Mindset and an Outward Mindset and begin to see the extent to which they have been operating and leading from an Inward Mindset. 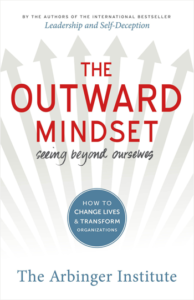 With their understanding of the negative effects of an Inward Mindset, this discovery awakens within participants a desire to change to an Outward Mindset approach. Participants learn a series of conceptual frameworks that educate them about both an Inward Mindset and an Outward Mindset. They then are taught how to leverage these frameworks to assess and plan their work with others in a way that overcomes conflict and invites collaboration. Finally, they begin to implement a series of tools to move them more fully to an Outward Mindset way of working. As a result, participants begin working in a far more collaborative manner and become focused on achieving results that are important to the organisation as a whole. Participants also develop a mentality of responsibility in their work rather than one of blame. Some groups may choose to read or have read The Outward Mindset. We conduct public Outward Mindset Skills for Leaders workshops on a regular basis in Salt Lake City, UT, and Washington, DC. 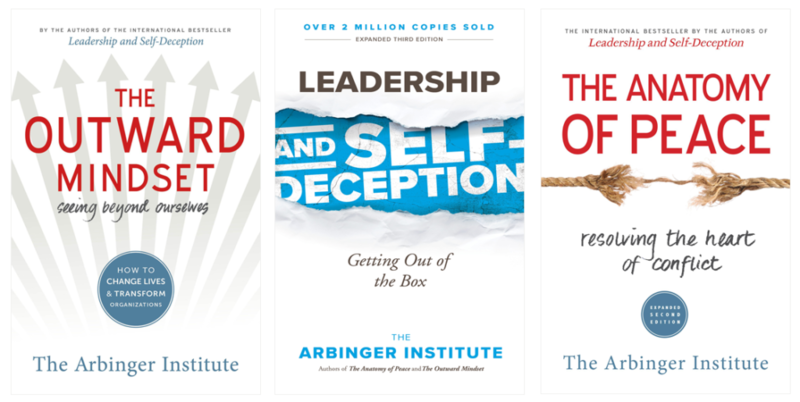 The Outward Mindset Skills for Leaders public workshop is $495 per participant. Special pricing is available for federal government agencies with GSA purchasing capability. Please contact us for more information. Click "Register Now" for the full schedule of upcoming sessions. Once certified, facilitators are licensed to offer Arbinger training to members of their employing organisation only. How to facilitate Arbinger's Developing and Implementing an Outward Mindset programme. How to facilitate the application of Arbinger's core philosophy to the workplace. On successful completion of the five-day course, facilitators are certified to use the Arbinger material (Developing and Implementing an Outward Mindset) in their employing organisations only. Arbinger will sign a contract with the individual and company before attending the training, which will outline the scope of delivery, including what material they may use and the cost of training material for each delegate they will train. Employing organisations are required to purchase a minimum of 20 participant manuals (training packs) directly after the training. In the event of employment termination or a change of company, the facilitator is not automatically certified to deliver Arbinger material to their new organisation. The new company must first sponsor the trainer and enter into a new trainer agreement with Arbinger. Please keep in mind that this course is for employees who will offer Arbinger's training component in their organisation. This course is not for independent consultants, coaches or other external organisational development service providers.